Wolfe, G. M., et al. “Quantifying sources and sinks of reactive gases in the lower atmosphere using airborne flux observations.” Geophysical Research Letters 42.19 (2015): 8231-8240. Wolfe, G. M., et al. 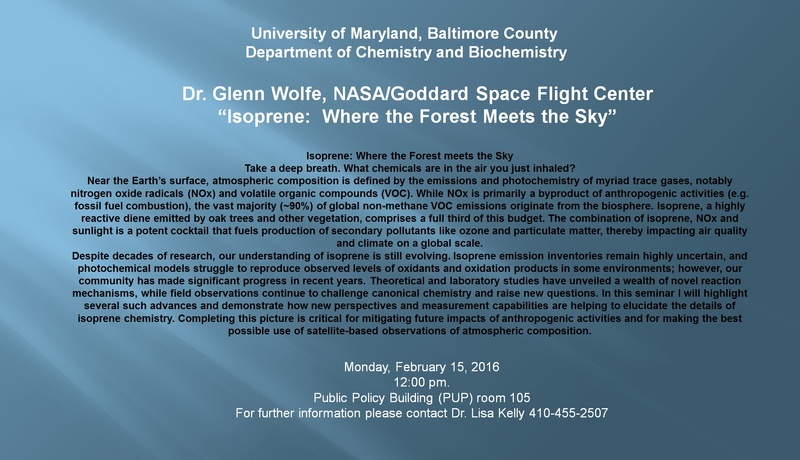 “Formaldehyde production from isoprene oxidation across NO x regimes.” Atmospheric Chemistry and Physics Discussions 15.21 (2015): 31587-31620. Whalley, Lisa, Daniel Stone, and Dwayne Heard. 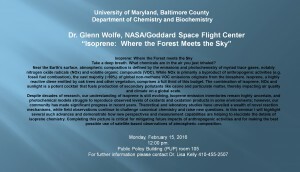 “New Insights into the Tropospheric Oxidation of Isoprene: Combining Field Measurements, Laboratory Studies, Chemical Modelling and Quantum Theory.” Atmospheric and Aerosol Chemistry. Springer Berlin Heidelberg, 2012. 55-95.